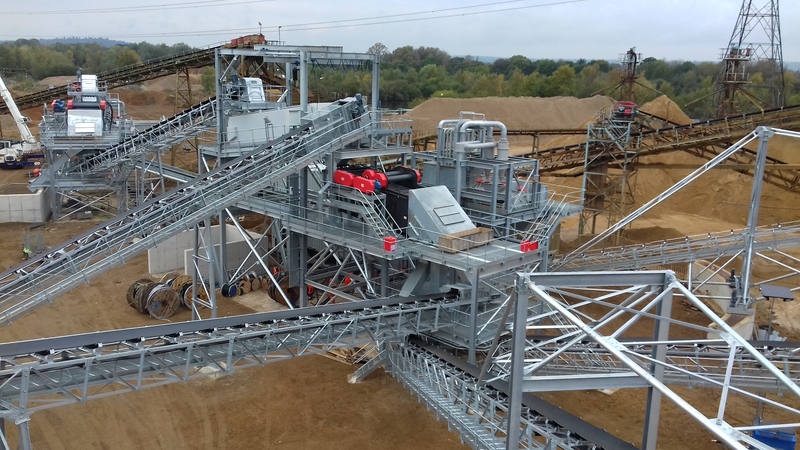 In early 2017 Centristic were delighted to be awarded the contract to design, fabricate and erect a new sand and gravel processing plant for Brett Aggregates Ltd at their Queen Mary Quarry site in Middlesex. This was Centristic’s first project working for Brett and were looking forward to building a strong relationship with the Brett team. This new plant replaces an existing processing plant that has operated for over 40 years and provides greater throughput and quality of final materials. 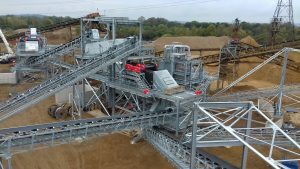 The final design of the plant utilised 8 straight conveyors, 2 belt feeders, one pivoting radial conveyor, washing and grading screen structures, surge hopper, crusher building, sand plant structure and incorporates the client’s choice of free issued screens, crusher and sand plant. 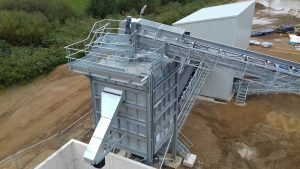 The mechanical and electrical installation followed closely behind the civils, which meant that all parts of the design, detailing, fabrication and installation had to be carefully planned and staged to ensure that works were undertaken to match foundation availability and create access for electrical works. 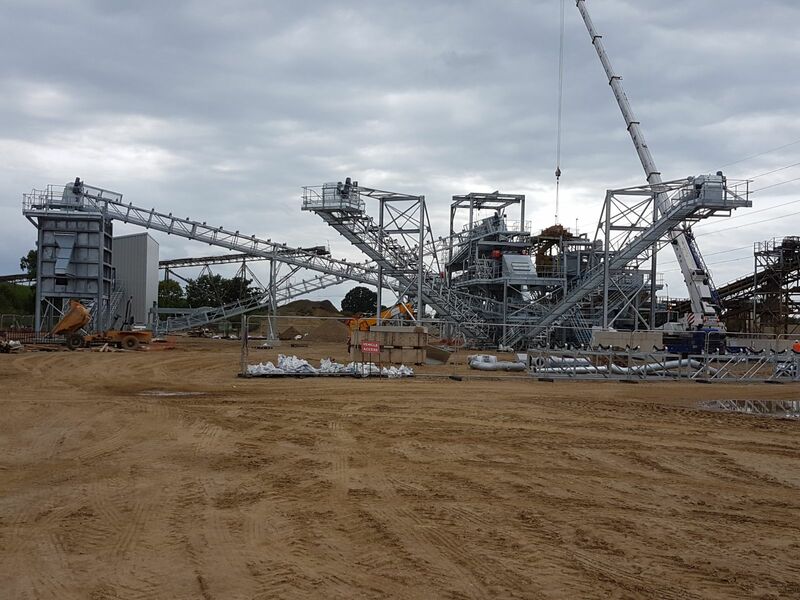 Erection of the plant started in June with all parts being installed by Centristic, with final commissioning completed in January 2018, followed by demolition of the old plant and structures. 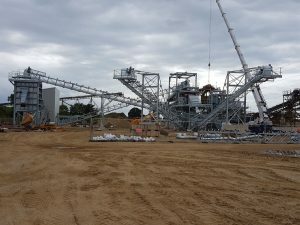 For the full gallery of the completed plant please click here.